Friday 20th March 2015 @ 7:30 pm. 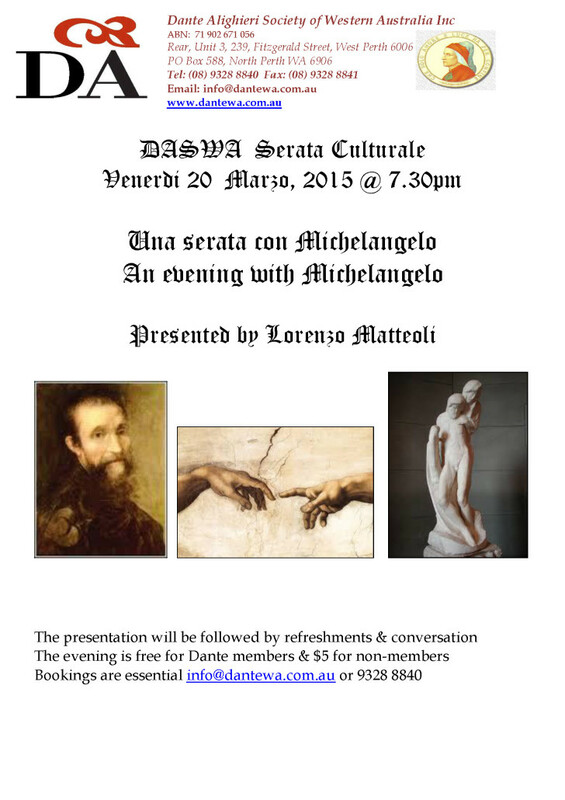 Cultural Evening & the subject is MICHELANGELO. Attached is the flyer for our March event; an evening, when we are presented this Great Italian Artist by Dr. Lorenzo Matteoli. The presentation will be followed by refreshment & conversation. The evening is free for Dante members & $5 for non-members. Everyone is welcome, please RSVP to the office for catering purposes. We look forward to seeing everyone and having a chat and a coffee.